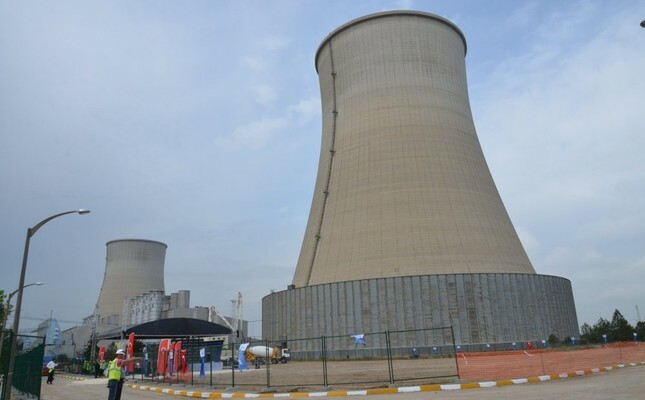 Turkey's Unit International, owned by former Galatasaray Chairman Ünal Aysal, has signed an agreement with the Iranian Energy Ministry to establish nearly $4.2 billion worth of natural gas-combined cycle plants in Iran. The signing ceremony was held in the Iranian capital of Tehran. In accordance with the agreement that will be in place for 20 years, Unit International will establish seven natural gas combined cycle plants in different parts of Iran with a total installed capacity of 6,020 megawatts. Construction of the plants, which will satisfy a large portion of Iran's energy requirements, should start in the first quarter of 2017. Unit International CEO Aysal said the foundations of the company's new investment go back 34 years, as it has carried out energy projects in Iran since 1982. "We have completed all our work on time. We have not faced problems in any of our work. We would like to demonstrate the reliability and power of Turkey and Turkish businessmen once again through our new investment that is based on confidence and friendship," he said. Pointing out that the current productivity of Iran's installed natural gas- combined cycle plants is 32 percent, Aysal said the plants to be established by Unit International will have more than 60 percent productivity. When construction of the plants is completed, Unit International will meet nearly 10 percent of Iran's electricity demand. The plants will utilize the build-operate model. According to the agreement, Iran will give natural gas to Unit International for 20 years and purchase the electricity generated from that natural gas at the combined cycle plants at the agreed tariff for six years. After the first six years, Unit International will either export the generated electricity or sell it on the Iranian free market. So far, only Iran's domestic investors could make such investments with state aid in the country. Aysal said Unit International's agreement with Iran is a first in terms of Iran opening up to foreign capital, continuing: "Our mutual confidence and friendship of many years has enabled us to create a new model that will gain acceptance in international markets and could open Iran's door to foreign capital flow. This is one of the largest investments ever made in a single package in Iran and the world." Mohsen Tarztalab, the general manager of Iran's Thermal Power Plant Holding (TPPH), which undertook the job on behalf of the Iranian Energy Ministry, spoke after the agreement was reached, stressing that the agreement indicates a revolution for Iran. Tarztalab said Iran has experienced a challenging negotiation process spanning 12 months in which more than 1,000 hours' worth of talks were held with Unit International in regard to the agreement. He noted that new natural gas-combined cycle plants will be two times more efficient than the existing ones in Iran, which have low efficiency due to their old technology. Thus, Iran will use 50 percent less natural gas to produce electricity while saving a significant amount of natural gas. "Our agreement with Unit International sets a precedent for all other foreign investors," Tarztalab stated. Meanwhile, Unit International will start investing in an 840-megawatt natural gas-combined cycle plant for the Kurdistan Regional Government (KRG) at the end of this year. The company, which provides nearly one terawatt hour of electricity to 9,000 consumers a year, has a significant place among electricity-selling companies in Turkey and the Balkans.